The White House is just a building. So what does it mean when the newspapers report that the White House is preparing national security options for the president? As a person who follows current affairs, you might have said, the National Security Council (NSC) is doing it. You would be correct. But that answer belies the public policy formulation and implementation complexity and challenges involved. It also does a disservice to those public servants who work tirelessly with this interorganizational complexity in an effort to keep the nation safe from harm. Despite the importance of its mission, there is little coverage of the workings of the NSC and the massive interagency effort required to make NSC processes work. There is also a scant body of work on the NSC in the academic literature. 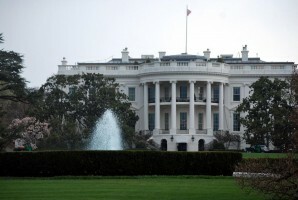 The National Security Council (NSC) is the primary vehicle at the executive level that exercises its opinions and policy preferences on issues as diverse and important as international hostage taking, interagency protocols, challenges associated with accessing encrypted data, organizing the inter-agency roles and responsibilities to address cyber threats and structuring information sharing and technological infrastructure for the intelligence community. The work of the NSC is not limited to these intelligence/law enforcement functions. For example, the White House office for the executive’s response to the Ebola crisis led by Ron Klain, the Ebola czar, was placed within the NSC structure. The current organizational structure for the NSC has its roots in National Security Presidential Directive-1 (NSPD-1) which was signed by President George W. Bush in February 2001. NSPD-1 organized the body of the NSC into two groups of what are commonly called directorates: one organized functionally (cyber, intelligence, counterterrorism, etc.) and one organized by geographic region (Western Hemisphere, East Asia, etc.). Each group is led by permanent, politically appointed White House executives (the “Cyber czar” runs the cyber directorate for example) and these appointees oversee a small team made up entirely of detailees from executive branch departments and agencies. The directorates utilize a broad and somewhat organic process of interagency meetings centered around the Interagency Policy Committee (IPC) structure. IPCs are where directors from the directorates (usually GS15 detailees) call together SES level senior executives from the departments and agencies to review and often draft proposals for the president. The IPC process can spawn sub-IPCs and/or working groups who work on issues. Alternatively, upward from the IPC process there can be a Deputies Committee (DC). A DC is where deputy directors from relevant departments and agencies meet to discuss proposals drafted at the IPC level. These meetings are facilitated by the president’s Homeland Security Adviser. From the DC process, issues and proposals will usually be litigated at the Principal’s Committee (PC) level where leaders such as the director of the FBI, the attorney general, the director of National Intelligence, the secretary of Homeland Security along with (depending on the issue) the aecretaries of Treasury and Commerce, for example, work through issues with the White House (President’s Chief of Staff in some cases or the National Security Advisor) who cast the deciding vote in the case of a stalemate. Who gets a detailee seat on each directorate and how are they selected? Who decides who participates in any given IPC flow/process? Is each agency using mirror internal structures to weigh options and consider input? Is each agency taking full account of the perspectives of not just their technical experts but their General Counsel’s Office, their Congressional Affairs Office, their Public Affairs Office? Are policy or technical experts participating in meetings? Is each agency participating in these reviews or getting buy-in at the senior executive management levels early on in the process? Do they each know their most senior officer’s position on the issues when negotiations begin? Technology has created an environment where policy development and deliberation is done under the auspices of the NSC, utilizing relatively short meetings and relatively lengthy processes of document review. These documents are distributed to the departments and agencies via email for consideration within their organizations. How is this affecting outcomes? Is a diffuse process run mainly on “paper,” producing the same outcomes that increased face-to-face meetings would have in years past? How is that process affecting the timeliness of decision-making? Despite the incredible impact the NSC has on the core mission of critical executive branch agencies, the media, public administration and public policy literature have yet to take these topics on in a significant way. To truly understand the machinery of implementation in Washington, we all must take a more active interest in the current iteration of the NSC and explore how its composition and business processes are affecting outcomes that directly impact us all. For those willing to take up this research agenda from a public administration or policy implementation perspective, a timely, important, and intellectually rewarding research agenda awaits. Author: Sasha Cohen O’Connell currently serves as adjunct faculty at George Washington University’s College of Professional Studies and holds a Ph.D. in Public Administration from American University. She is also currently serving as the Section Chief of the FBI’s Office of National Policy. The views expressed in this article are the author’s own and do not represent the views of the FBI or the U.S. Department of Justice. The author can be reached at [email protected]. An insightful article on a relatively unknown (at least outside the beltway) but important part on how policies at the highest levels are developed. Collaboration and transparency from the multitude of agencies that participate is critical. Obtaining a position on the NSC, even for a short time, would be a rewarding and eye opening experience. Thank you for sharing Dr. O’Connell. Very thoughtful and thought provoking piece. Thank you Dr. O’Connell. Very interesting article Ms. O’Connell.